Brisbane Garden & backyard drainage solutions. When it comes to living in Brisbane and surrounds, having the correct quality drainage solutions for your landscape, gardens and home is paramount. 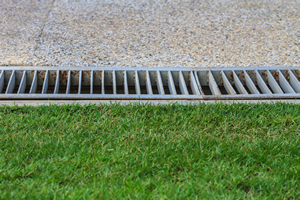 From surface drain solutions, Aggi Pipe installation and stormwater pits Brisbane Home Landscaping will find the best and most cost effective draining solutions for all your drainage issues. The right drainage solutions are an important factor to all Landscaping projects, storm water run offs and correct drainage streams are imperative to maintaining your garden designs and overall landscape practicality especially within Queensland summer storms. Retaining walls should be built not only with quality products but also with the correct drainage solutions in place the first time to prevent water building up and causing extra pressures on the wall. Let the team at Brisbane Home Landscaping help you solve your drainage issues effectively and hassle free, call today for a consultation and quote.